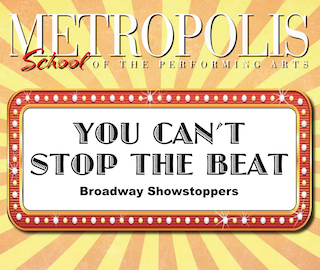 In this original School of the Performing Arts Cabaret, Metropolis students are featured performing along with Voice Faculty Tiffany Gates and Nathan W. Brown as they sing and dance on the Metropolis stage to music from some of Broadway’s greatest musicals. This cabaret includes showstopping songs from Broadway musicals such as Hairspray, Hamilton, Wicked, Disney’s Mary Poppins, Thoroughly Modern Millie, Shrek, Jekyll & Hyde, and more! Sunday, April 14, 2019 • 7:00 P.M.